Cape Cross, outstanding sire of champion racehorses such as Golden Horn and Sea The Stars, has died aged 23 following complications associated with old age. Cape Cross, who retired from active stallion duties in 2016 after 16 seasons at stud, was also the sire of Ouija Board, who won six times at the highest level, including the Oaks. He is one of only 17 stallions to have sired more than one Derby winner, and also made his impact on the 2014 Classic as the broodmare sire of Australia. 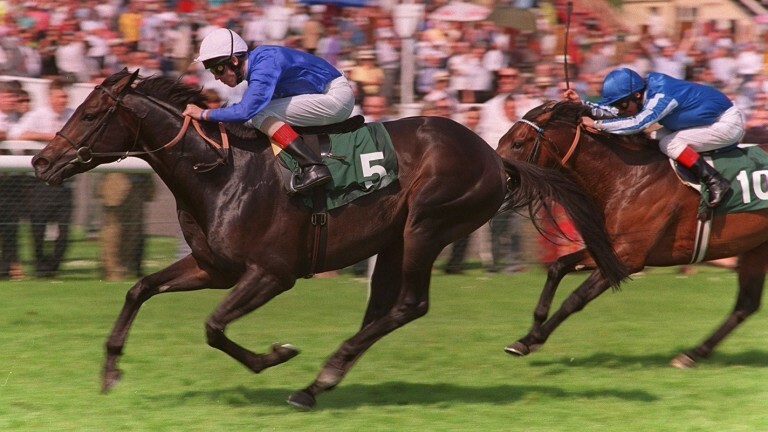 The son of Green Desert, bred and raced by Sheikh Mohammed, became the foundation stallion of Darley's global breeding operation, and as well as a wealth of high-class winners he leaves behind a legacy of promising sire sons such as Sea The Stars, Golden Horn and Awtaad. Joe Osborne, managing director of Godolphin Ireland, for whom Cape Cross stood at Kildangan Stud, said: "He has been an integral part of the Godolphin and Darley stories, and an integral part of Kildangan. "As an individual, he was the boss. You did it his way. He very much ruled the roost." Cape Cross may have sired Derby and Prix de l'Arc de Triomphe winners Golden Horn and Sea The Stars, two of the most successful middle-distance horses of the modern era, but during his racing career he was campaigned as a miler, winning five of his 19 career starts, most notably the 1998 Lockinge Stakes while under the care of Saeed bin Suroor.